What is Crypto? Blockchain? Is this the FUTURE of Fundraising for Nonprofits? With $400 Billion available for donation from 300 million users…Cyptocurrency could be an uptapped market for philanthropy. In 2018, the United States Congress hosted a hearing entitled “Digital Currencies: The Future of Money”. Today, some of the most prominent organizations in philanthropy are accepting cryptocurrency donations (Save the Children, The Lupus Foundation of America, United Way, Charity Navigator, and more). 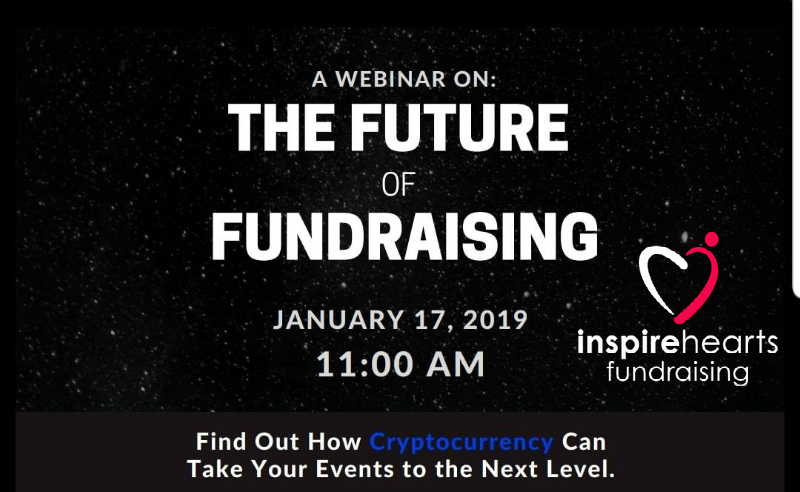 Join us on January 17th for a futuristic presentation as the Inspire Hearts championship fundraisers join cryptocurrency philanthropy experts at The Giving Block break down the ways that nonprofits leverage cryptocurrencies and the surrounding community to host more exciting, more fruitful fundraising events.